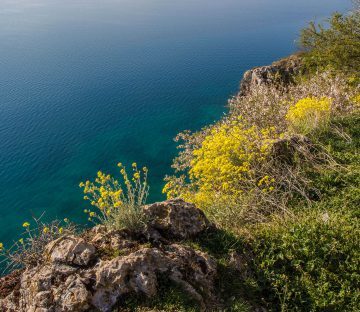 With 13,676 kilometres of coastline and 6000 islands, anyone could guess there would be decent diving in Greece, the olive and tzatziki gem of the Mediterranean. Everybody has heard of the spectacular country of Greece, and everybody knows this country has about a gazillion small volcanic islands peppered right off its coastline. But what many people forget, after the big names like Santorini, Mykonos, and Crete, are some of the less popular yet equally as spectacular islands. Zakynthos island is tucked away in the south-west corner of Greece. It is the third largest Greek island in the Ionian sea covering 405 square kilometers. This island is a place of sharp contrasts; sky blue sea turning into skyscraping limestone cliffs; dense green foliage covered land flattening out into white sand beaches. In short, it is a thing of beauty. Of all the things Zakynthos is known for, its biggest claim to fame is the world renown Navigo Beach, where an enormous rusted 1980 ship washed up and remains on its shore. Anyone who has previously visited Zakynthos island can attest, there is no shortage of things to do both on land or in the water. 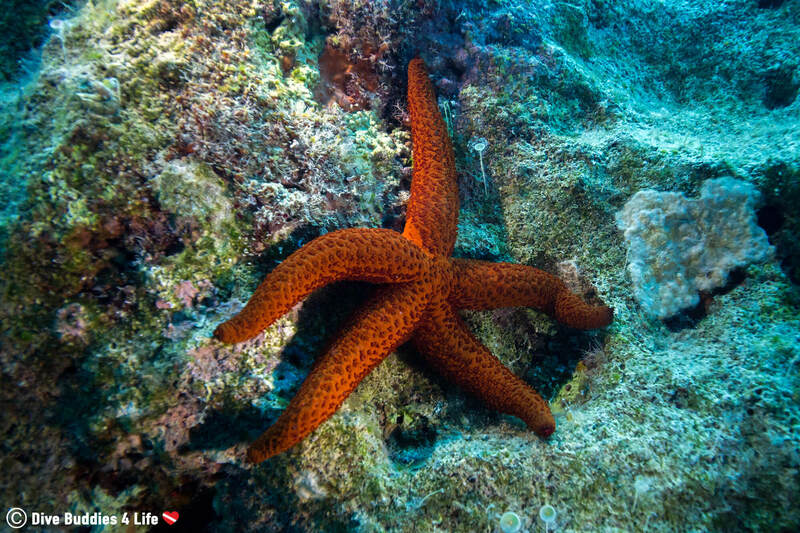 And speaking of water, if you love to play in the ocean there is snorkeling, swimming, diving aplenty. 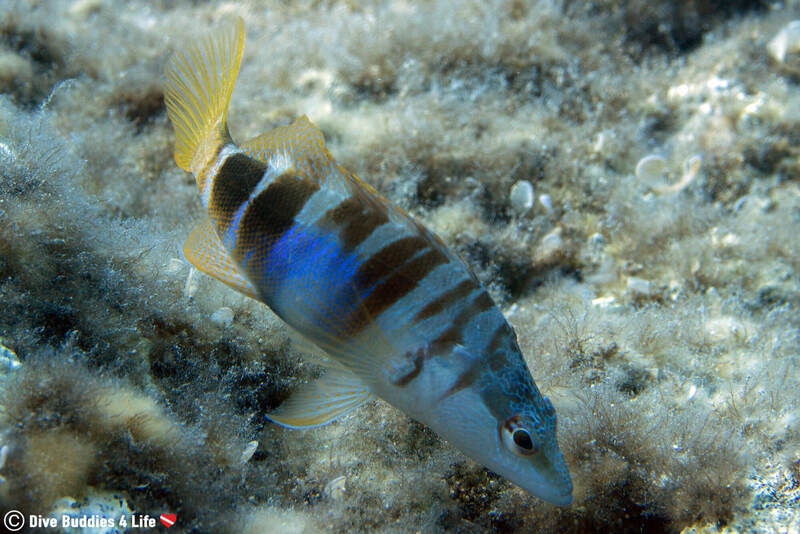 In fact, the island is home to the National Marine Park of Zakynthos in Laganas bay. This park was the first of its kind in the Mediterranean, established in 1999 for the protection of sea turtles. 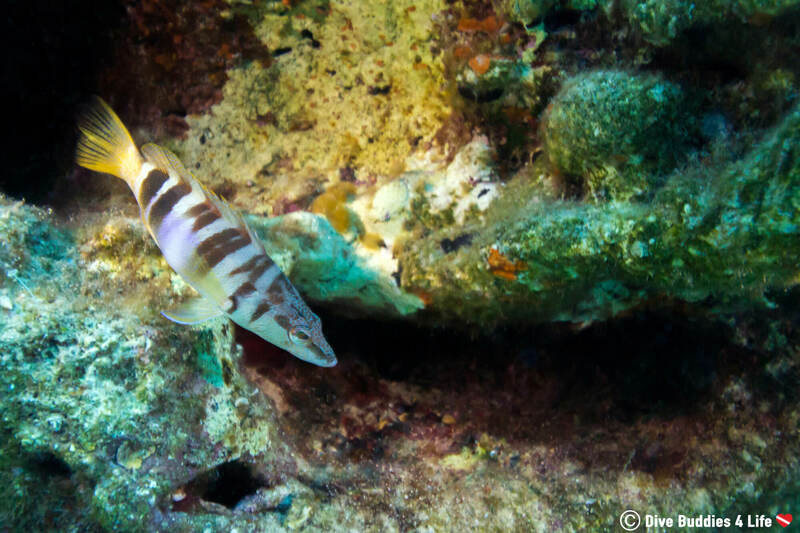 For scuba divers, the great thing about Zakynthos is that aside from the incredibly blue water, you are never more than 25 kilometers from the coast. Talk about island life! 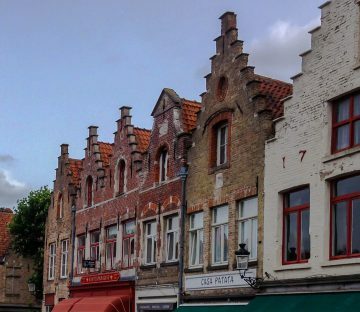 In general, most of the scuba diving shops on the island are found to the south, around the towns of Keri, Marathias, and Laganas. This location is mainly because of the close proximity to the Marine Park giving summertime divers the opportunity to spot sea turtles. Joey and I arrived on Zakynthos Island via ferry and in spite of being a little early in the season for diving (we arrived in May), it took us less than 48 hours to find Diving Center Turtle Beach, a dive shop that would become our home during our two week stay. When most people think of Greece they think of colourful fish and warm water. On Zakynthos, the water was still dreadfully cold, and we sported everything from booties to full hoods for our dive. 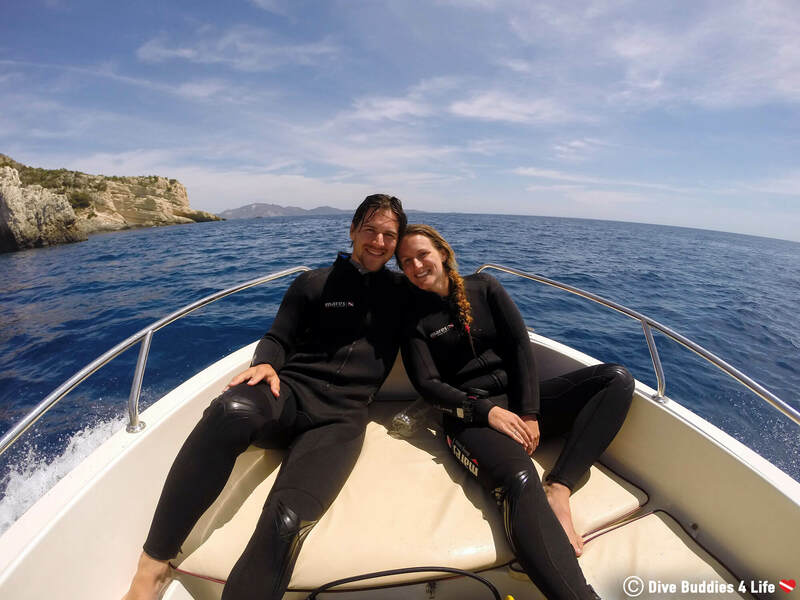 Regardless of the water temperature, for two cold water Canadian divers, plunging into the strange and exhilarating Mediterranean was a blissful change of scenery. 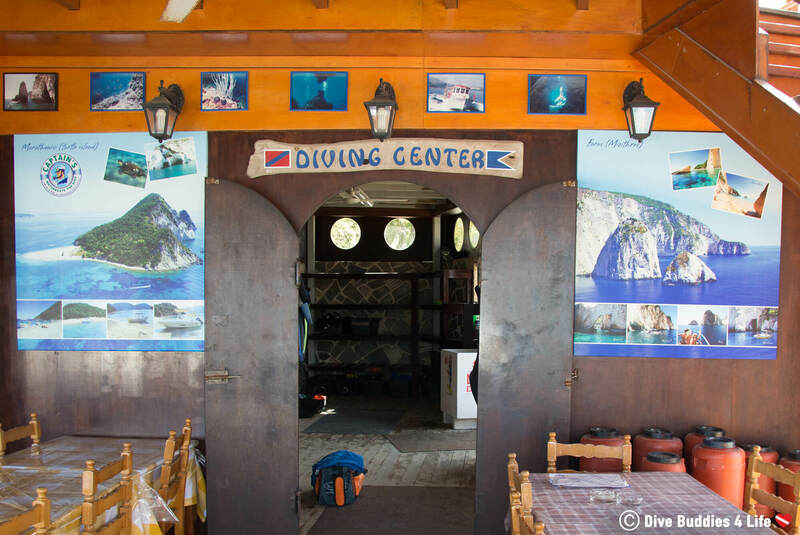 For the next two weeks, our friends at Diving Center Turtle Beach showed us some of the best diving sites Zakynthos had to offer early in the season. Freefall from the boat down the rocky escarpment of the Lakka dive site. 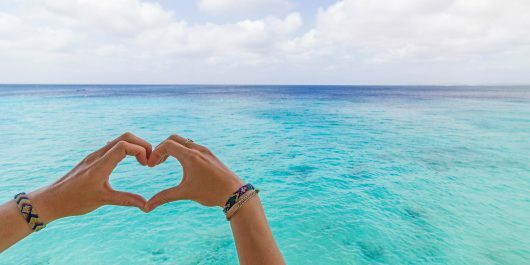 Let the blue waters of the island envelop you in a warm or cold embrace depending on the time of year you dive. 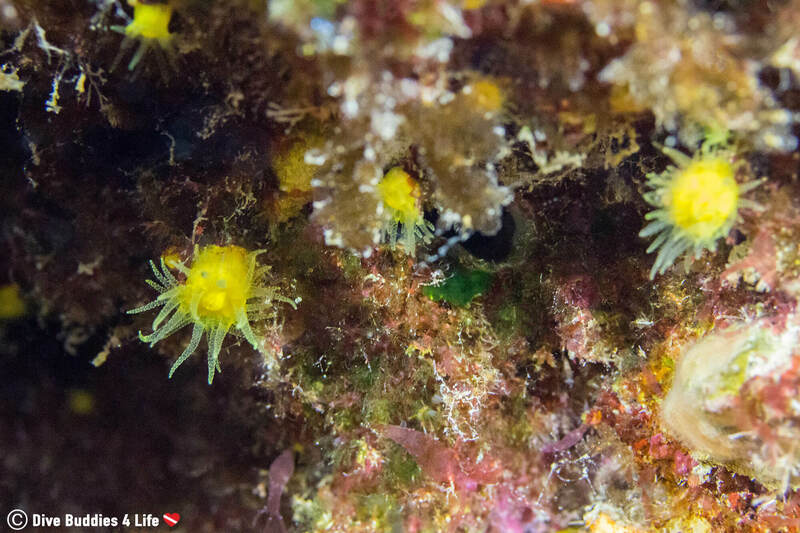 Follow the encrusted walls teeming with life while you spy combers, damselfish, sea bream, blennies, wrasse, sea perch and parrot fish darting around in front of you. 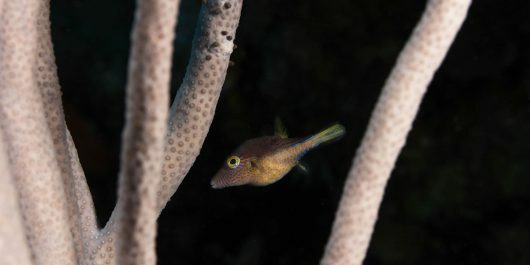 Pass through a gigantic photograph worthy arch and enjoy the colorful sponges and macro species that coat its surface. 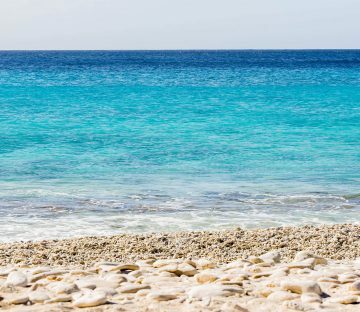 Look out into the vast blue, and if you’re lucky, you will spot some larger pelagic marine species like the well-known sea turtles that are known to call the waters around the southern tip of Zakynthos their home. 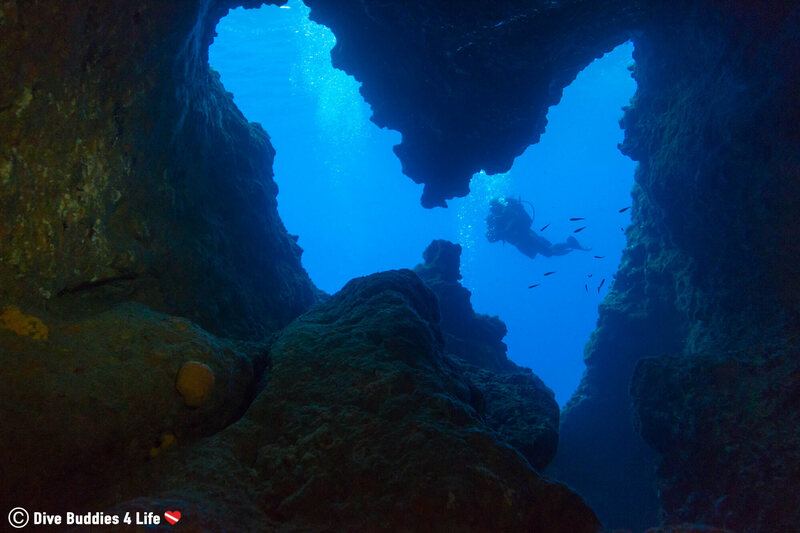 Feel like an underwater adventurer as you explore a series of caves that make up the Keri Cave dive site. Grab your torch and swim through spectacular cavern after cavern all filled with fascinating aquatic creatures. 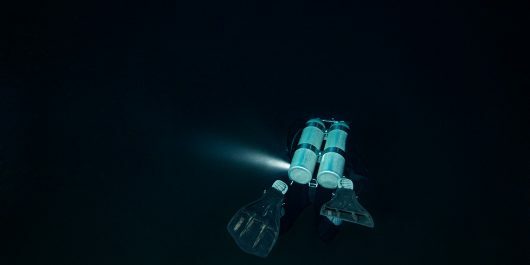 Arrive at the final chamber and surface blindly through a layer of milky sulfur mixed with seawater, reducing your visibility to absolutely nothing. While it may be daunting, surfacing through this soupy concoction of water, it is indeed worth it as you will get the chance to see the bats that take refuge in the Keri Caves during the day. Take a short but sweet boat ride along the limestone cliffs of Zakynthos and arrive at Marathia dive site. 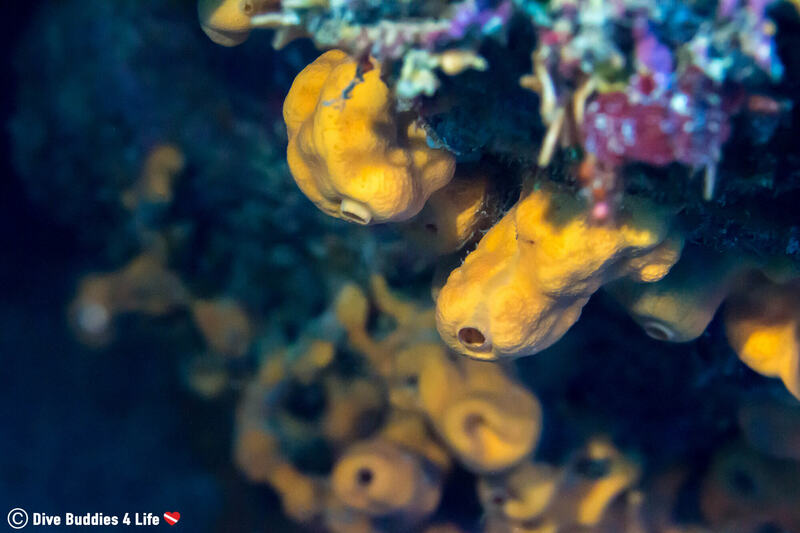 Though it may not look like much from the surface, an underwater wonderland is waiting for you beneath the waves. Descend into the shallows from the boat and follow the rocky slope to a beautiful wall with deep pockets that is the perfect place for octopus spotting. Keep your eyes peeled and your ears open as you look for lobsters and flapjacks near the steep drop off. 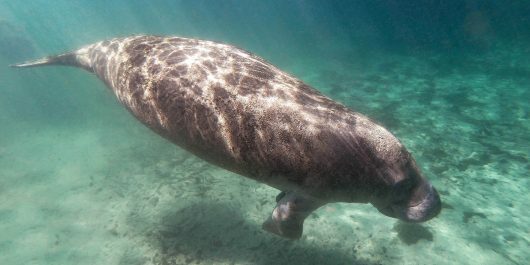 If you’re lucky like us, you may even have the chance to spot the endangered resident Mediterranean monk seal (Monachus monachus) that likes to hang out around Keri and surprise unsuspecting scuba divers. Stay salty diving at the Oktopus dive site where the rock-like formations are so dramatic divers need to weave in and out of giant boulders to get around. Fin around keeping on the lookout for lobsters, eels and of course octopus that love to hide in the tiniest of spaces. 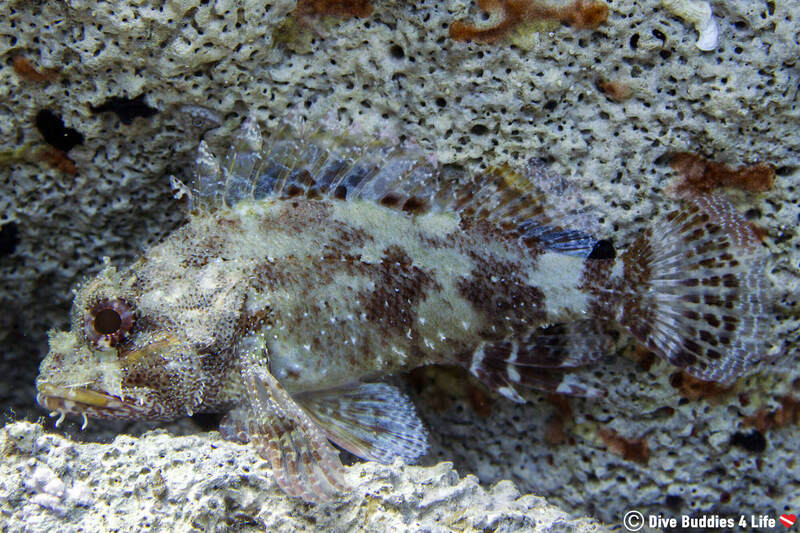 If you know where to look, you may even catch a fleeting glimpse of some groupers lurking in the shadows, but don’t count your chickens as they are pretty skittish and will often flee long before you spot them. 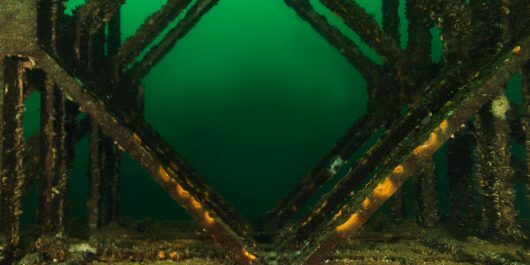 Towards the end of the dive enjoy poking yourself into a small crack in the cliffside to scout out some marine turf before making your way topside. 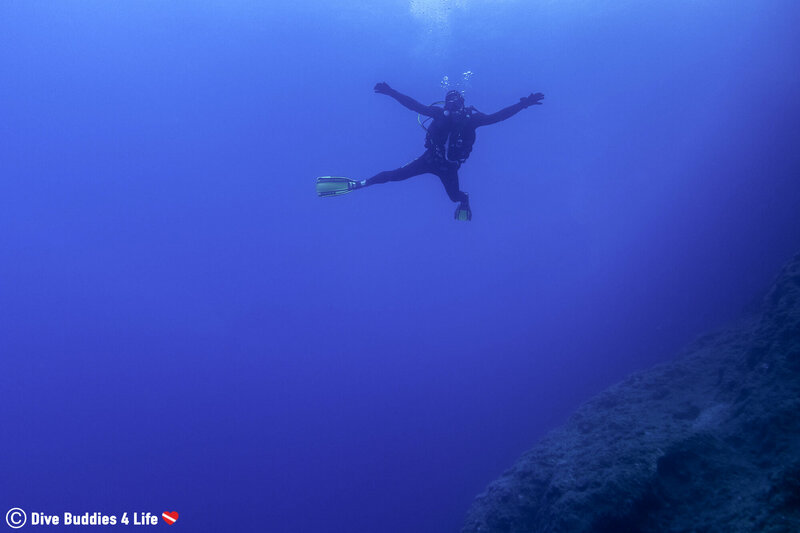 Sometimes called one of the most beautiful dive spots in the Mediterranean, you’ll know you’re diving the cave tunnel dive site when you see the vast butterfly shape take form as you exit the cave. If you are experienced with overhead environments, plunge yourself into the darkness of the Cave Tunnel as you navigate the small maze of rocks and crevices. 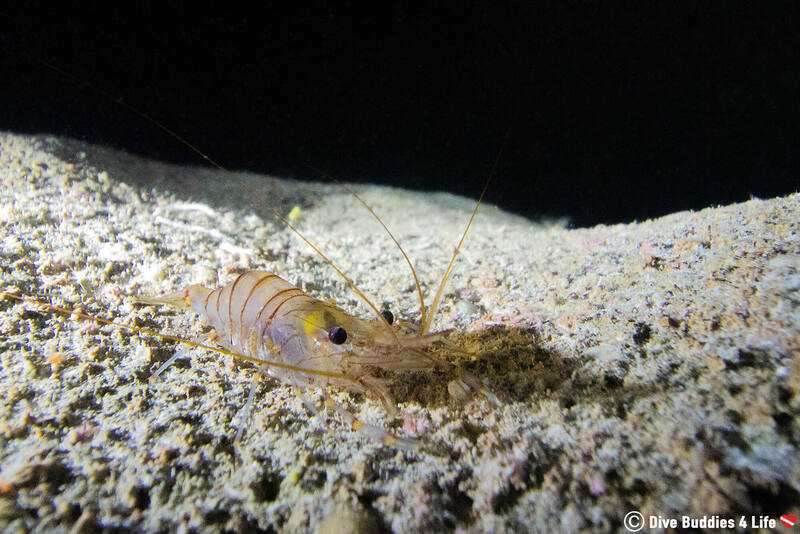 Use your torch to scare off millions of shrimp as you light your way through the tunnel swimming to the famous butterfly exit. 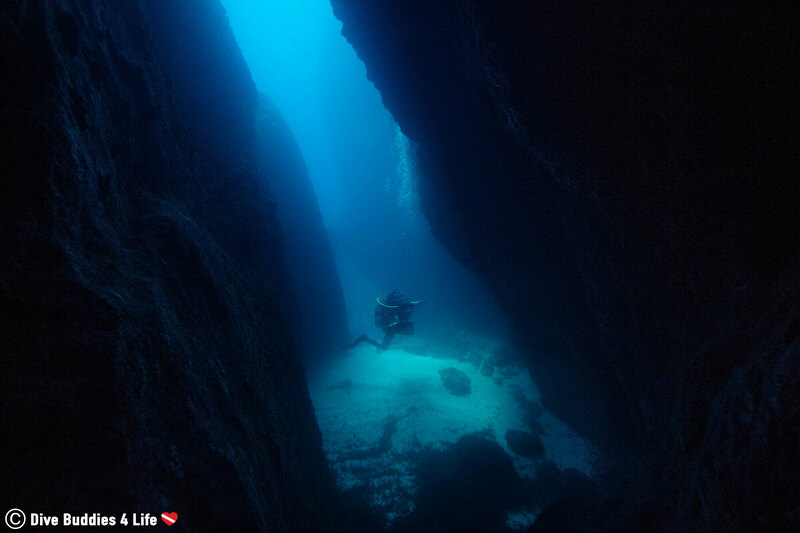 Roll off the boat and let the beauty of the Dafini dive site leave you speechless. 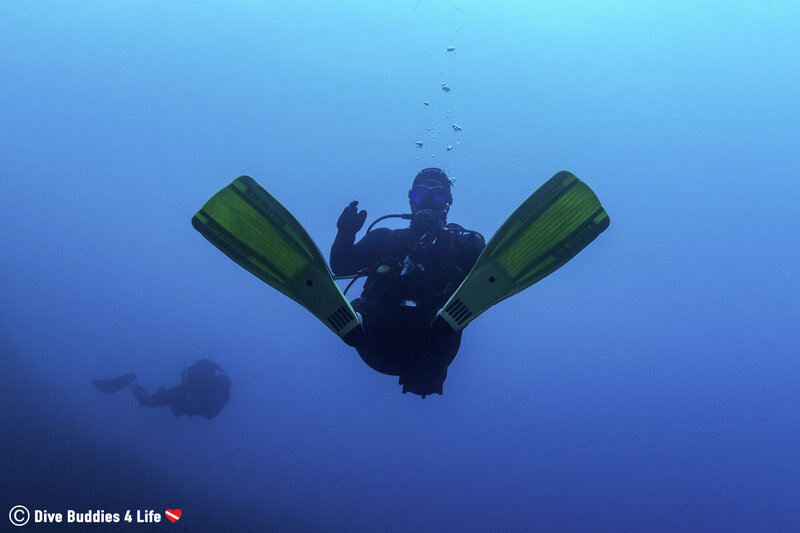 This shallow dive is perfect for divers of all skill levels. 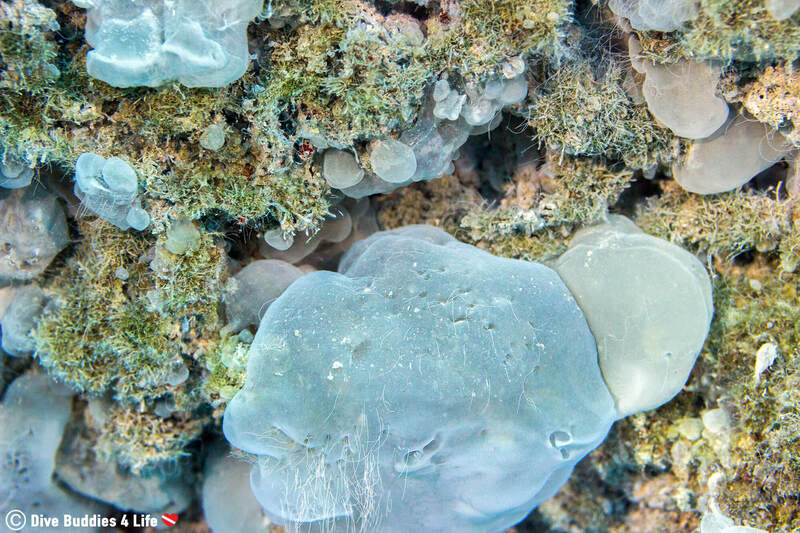 Check out some of the unique benthic formations or search for octopus and scorpion fish amid the rocks. 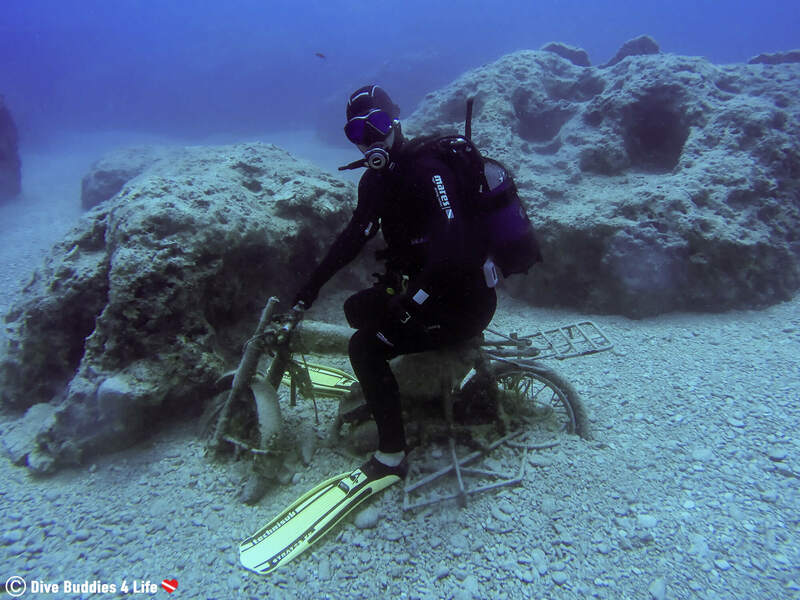 One thing is for certain, you don’t want to miss the main attraction of this dive site; a sunken motorbike that is perfect for taking goofy pictures. Of all the sites we dove I’d have to say our personal favorite was Lakka. 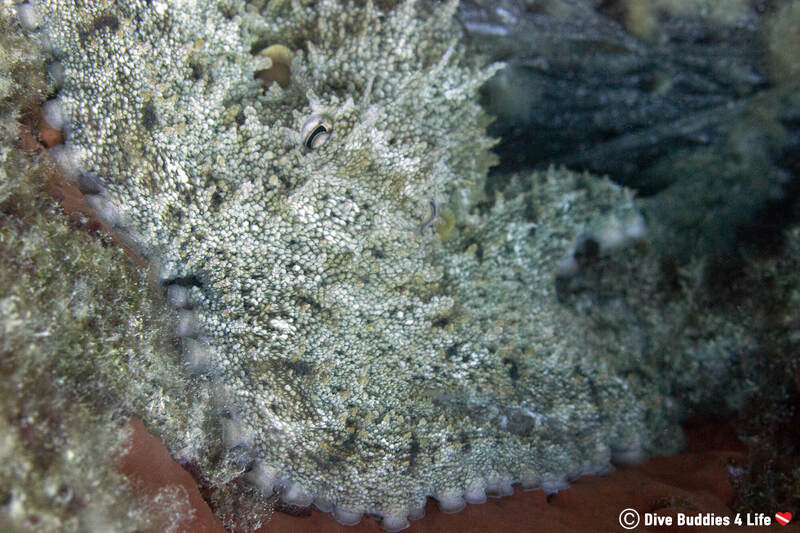 This spot was one of the deeper dive sites making it less choppy and excellent for small creature photography. There just seemed to be so much life to see along the descending sea walls and under the giant arch. I was in macro photography heaven. After a smashingly successful two weeks of diving on Zakynthos, we bid the island life goodbye. It was sad to leave our new found friends behind with only a heartfelt farewell and the silent promise that one day we would return. For anyone thinking about a dive vacation in Greece, I can’t recommend Zakynthos enough. The island was FANTASTIC! I look forward to the day we come back for a dive with Diving Center Turtle Beach and hopefully Luna, the resident Mediterranean monk seal. 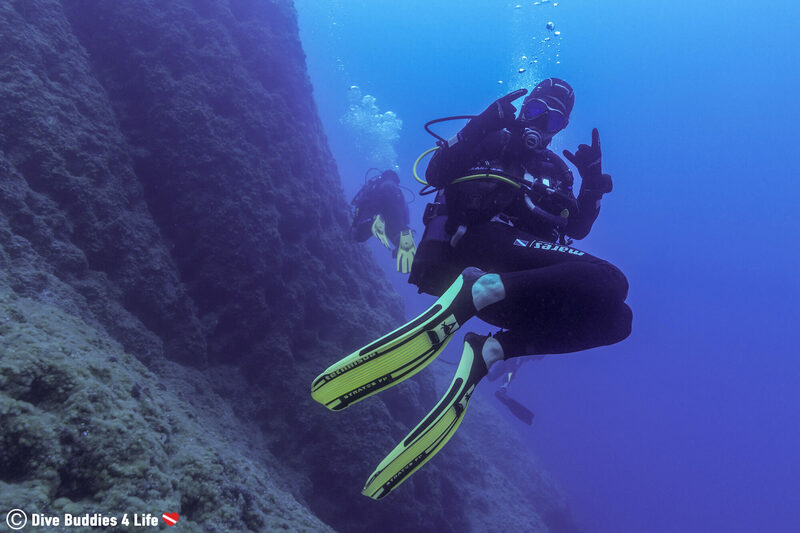 Of all the islands that make up Greece, what is your favorite Greek Island to dive? Why do you like that particular spot so much? 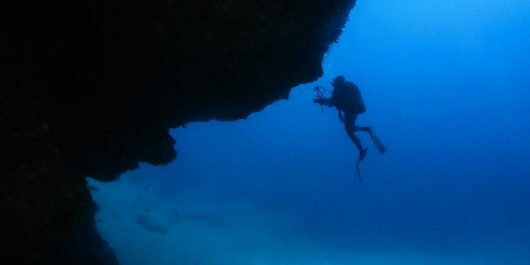 Cost: The typical cost for a single dive with equipment on Zakynthos island is €40.00. 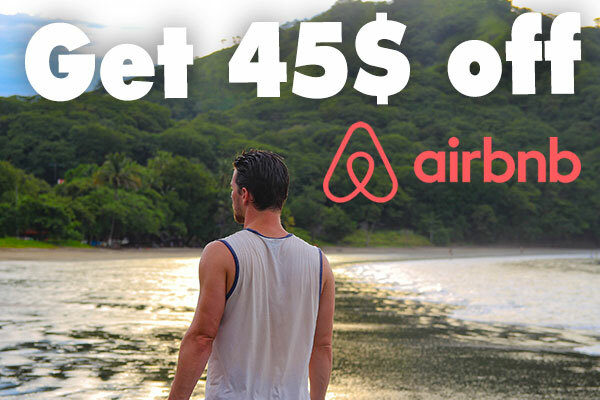 If you are planning on doing more, the price per dive can go down to €38.00 for six dives €36.00 for eight dives €34.00 for 10+ dives. When in doubt ask, most dive shops, however, will have their prices indicated in-house. 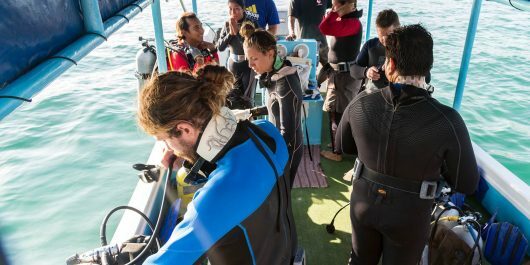 To make things handy for divers, some local shops will take your certification card and hold it while you dive and at the end of your vacation you can pay your dives off in bulk and your card will be returned. That way they can keep track of how many dives you do and give you the discount accordingly, and you don’t need always to be walking around with large amounts of cash. *Make sure to check with your center of choice but it is important to note that most dive shops only accept cash payment for the dives. Seasonality: The high dive season on the Greek island of Zakynthos runs from the end of May to the end of September. While they do have availability outside of those times, the sea is very chilly and doesn’t come alive until then. We did our dives pretty early in the season, and apart from the cold, we loved the scenery (caves and gigantic walls galore), macrofauna and top-notch visibility. I was however sad that we did miss seeing the sea turtles that this region is so well known for. 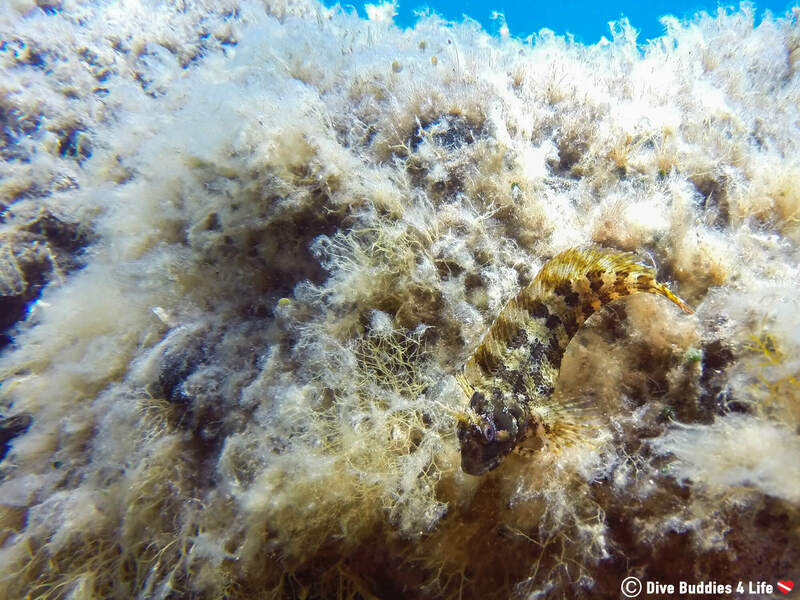 Restrictions: Greece may seem like a sunny south scuba diving destination but don’t be fooled. Outside of high season, the water is relatively cold and thermal protection is essential. If you are traveling with your own gear, make sure to have a 7mm wetsuit with gloves and a hood. 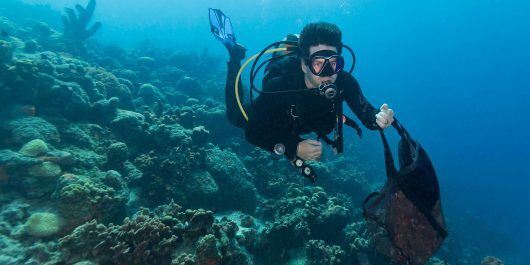 If you are renting, make sure you are familiar with diving in bulky equipment. 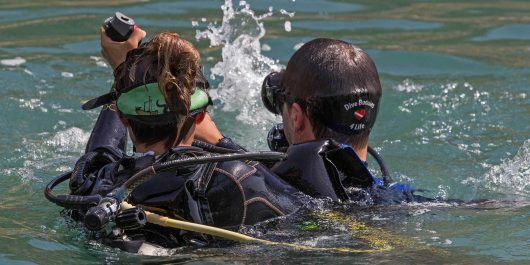 Beyond the diving gear make sure you bring your open water certification card. What some dive shops will do on the island is that they will take your card and hold it and at the end of your scuba vacation you can pay the shop in bulk. 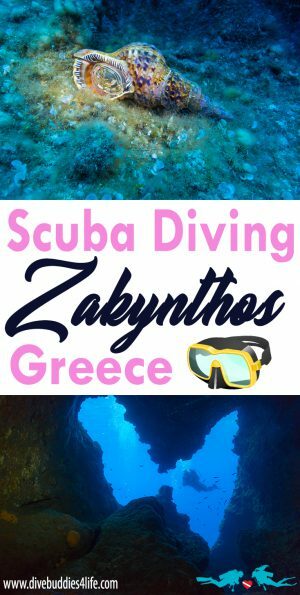 Having your advanced open water and even a cave specialty is not a bad idea as there can be some neat dive sites to visit in the many caves along the coast of Zakynthos and at depth. Companies: There are dive centers scattered all over the island of Zakynthos but the highest concentration of dive shops are towards the south of the island near the Zakynthos National Marine Park known for its sea turtle population. We dove with Diving Center Turtle Beach and loved the British General Manager Mike and our divemaster Toly. If you are in the area, I would highly recommend their services.